Black tea enhances the taste of tropical fruits in this exciting tea drink! 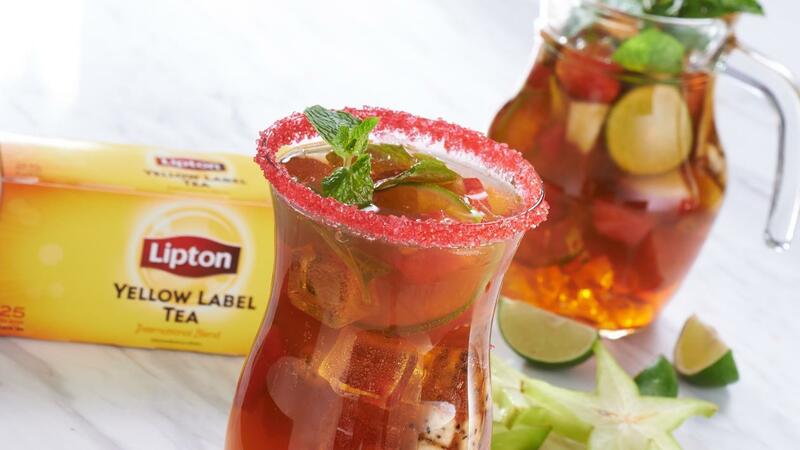 In a pitcher, combine Lipton Yellow Label Tea (2 teabags + 4 cups hot water), sparkling juice, Knorr Lime Powder, pandan syrup and assorted tropical fruits. Stir well and set aside to chill. Serve with some ice cubes.